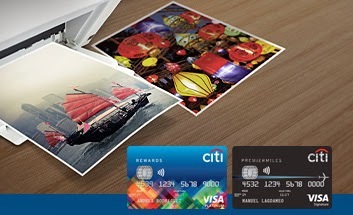 Free HP color printer with your new Citi Card. Want to take home a Hewlett-Packard Deskjet1010 Printer for free? Follow these easy steps: apply online for your first Citi credit card at www.citibank.com.ph; once approved, spend at least P5000 within 60 days from getting your new card; plus sign up for a Citibank Online account and electronic statements. It’s that simple! Citi will contact you via SMS or email on how to redeem your welcome gift. Promotion period runs until February 28, 2015, while redemption period is from February 16 to June 30, 2015.